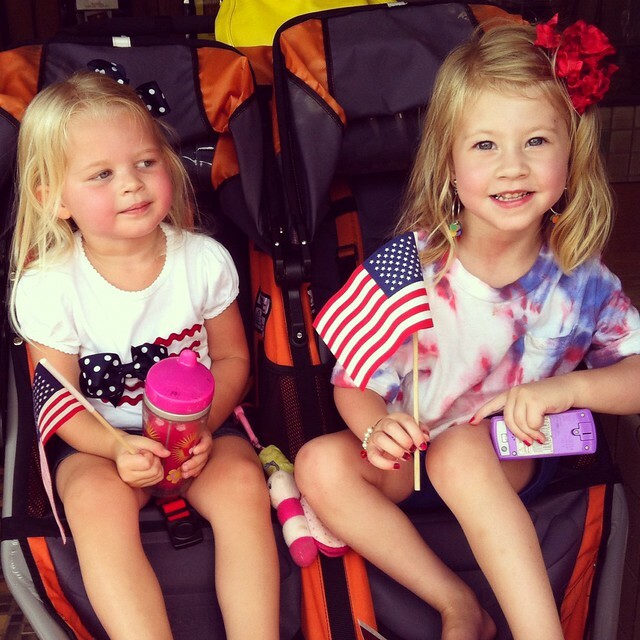 Celebrate Always: 4th of July fun! 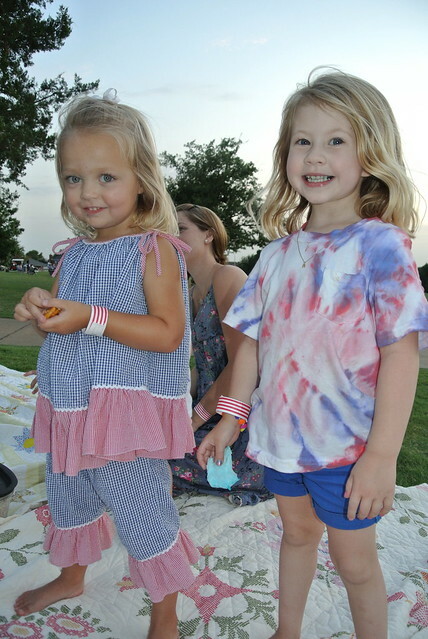 I hope everyone had a wonderful 4th of July! 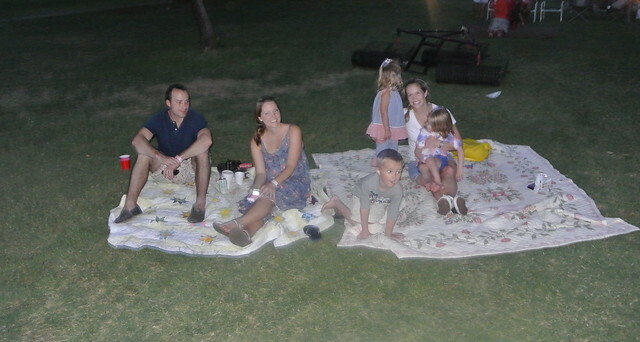 We had so much fun with friends here and it's still not over! 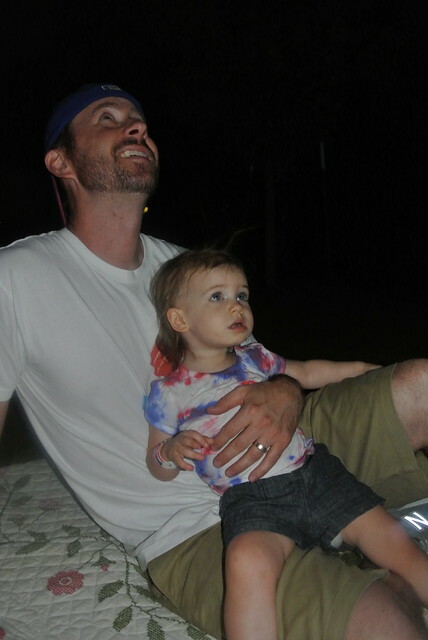 We are spending this weekend celebrating the 4th with family and friends and I just can't wait! 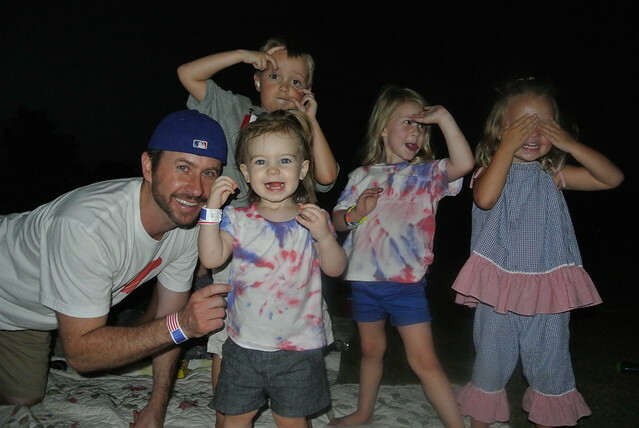 It will be so fun getting all the kids together and spending the weekend with best friends and family all in the same place is like a dream come true! 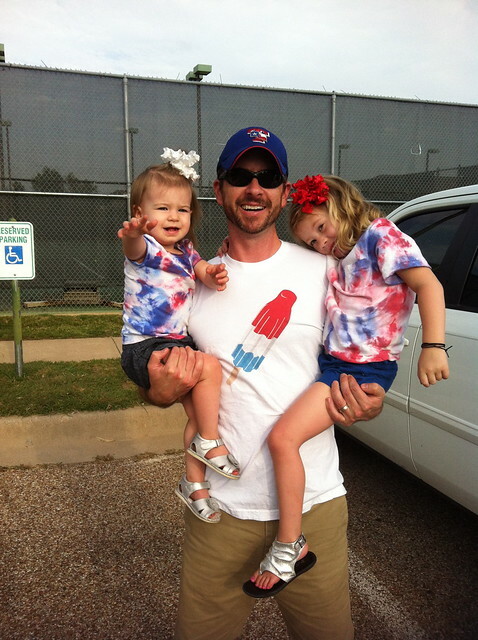 Here is a little of our pre-game 4th celebrations we had this week. 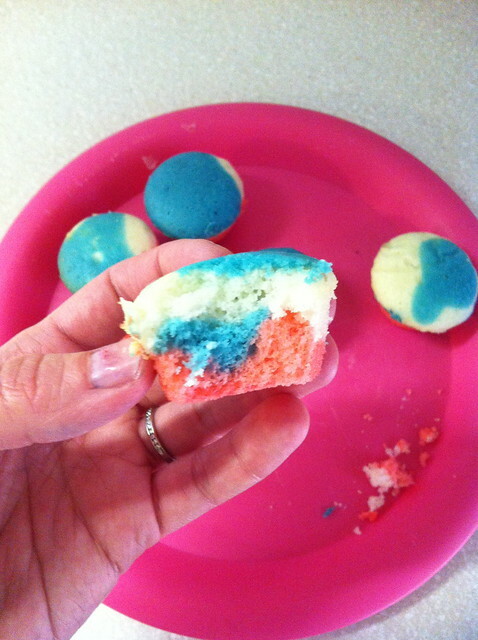 Ella and I made mini red, white and blue cupcakes for her to take to school. Only problem was, I ate too many and there ended up not being enough. Ha! I got a little out of control. I'm not even a big cake person but they were so good fresh out of the oven! 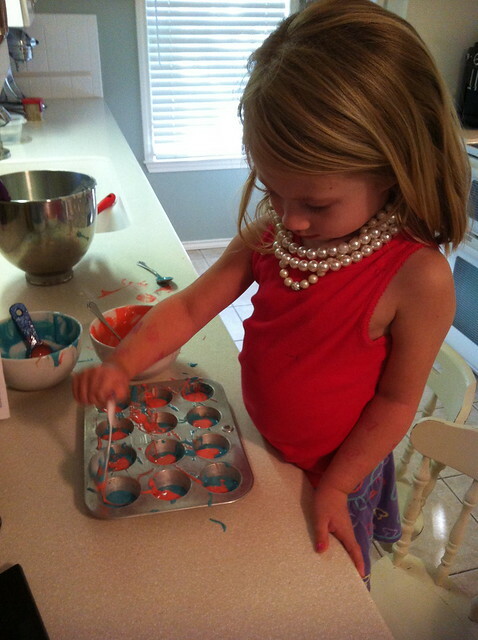 So we got to enjoy lots of mini cupcakes. 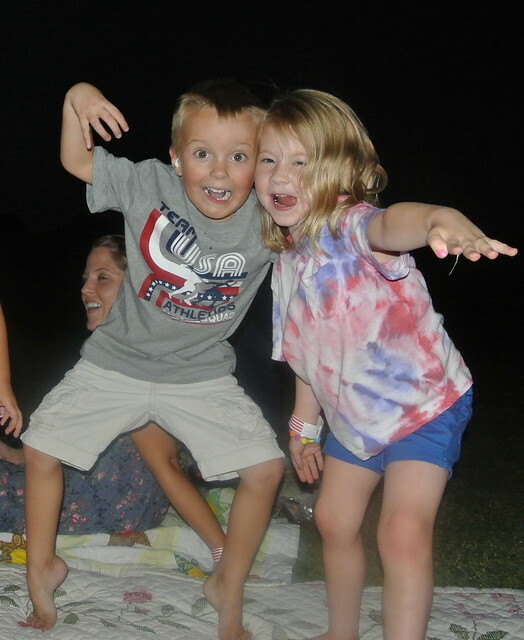 Tuesday night we went to a 4th celebration with our good friends Suni and Adam. 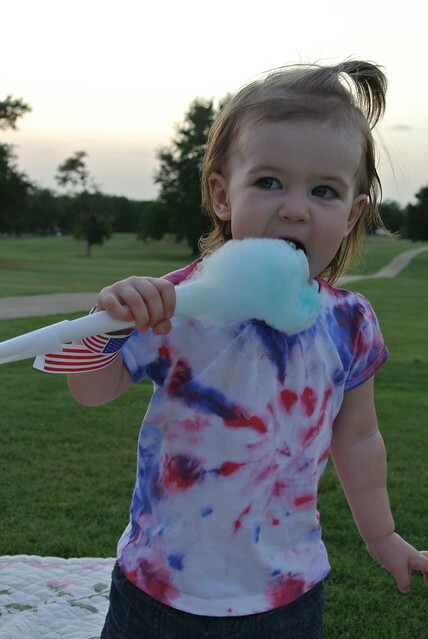 The kids had a blast jumping on bounce houses and eating endless amounts of snow cones and cotton candy. Everybody in their silly faces. 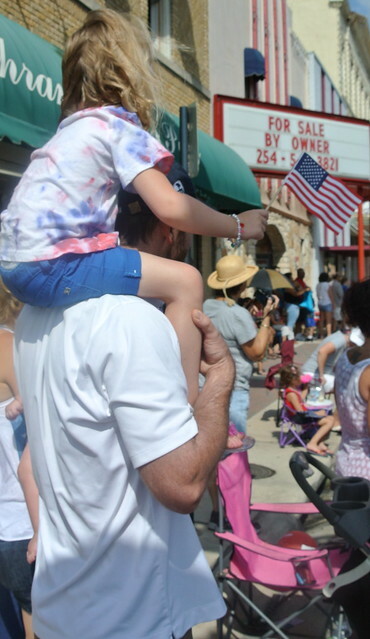 Then yesterday we went to watch a parade. 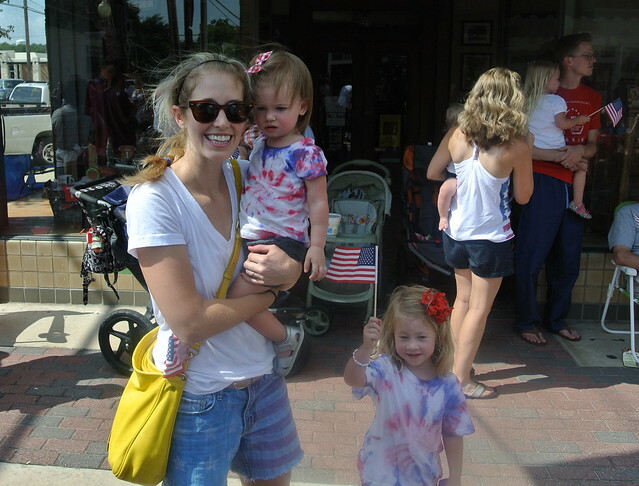 It was hot and a very long parade but the girls did great and Ella really seemed to enjoy it. This girl might look familiar to you! It's Julie! Kristen's Julie from Tyler who just moved here! It's crazy how Kristen and I's worlds are pretty much still the same even though we are so far apart now. I just love the friend overlapping! It's bitter sweet though, I hate that Kristen doesn't have Julie in the same town anymore but we are just loving her here. After the parade we went to a festival. 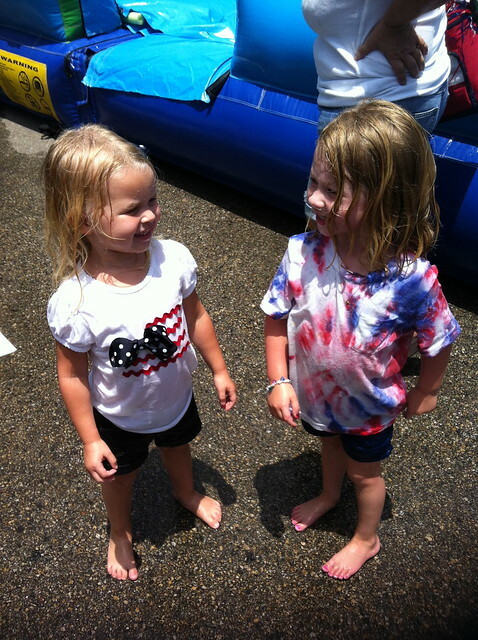 Ella and Katelyn had so much fun on the water bounce houses. 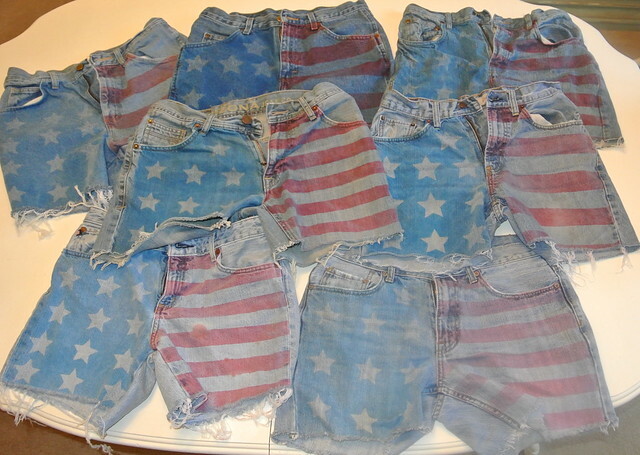 And then there were the shorts. I got a little out of control and made a million pair. 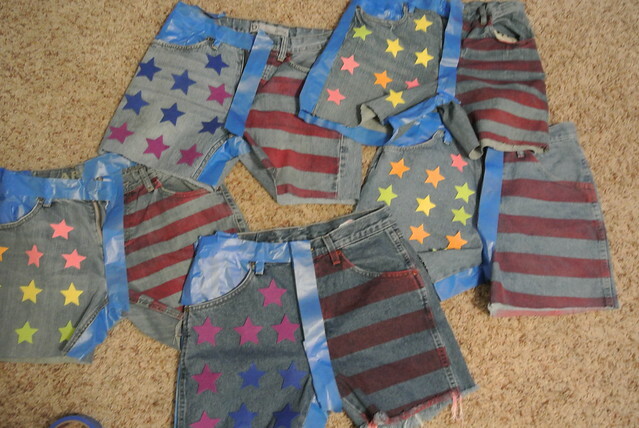 I saw them on pinterest and thought they would be so fun for the 4th. But whats the fun in something so great if you are the only one?! 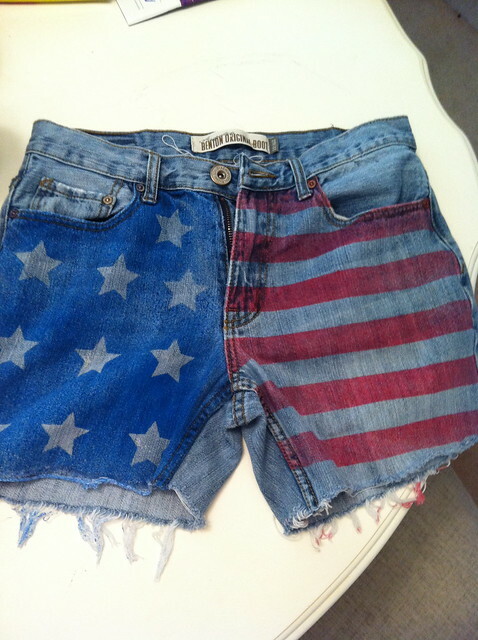 So I made a pair for Kristen, Lindsay, my sister and who ever else wants to be cool like us this weekend. I am just so excited about them! 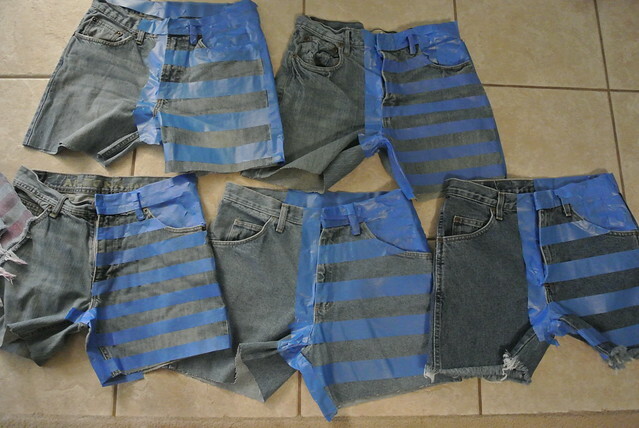 I bought mens jeans at Goodwill and cut them into cutoffs. I went with mens jeans because I hate when shorts are tight around my leg and these fit much looser than women's. 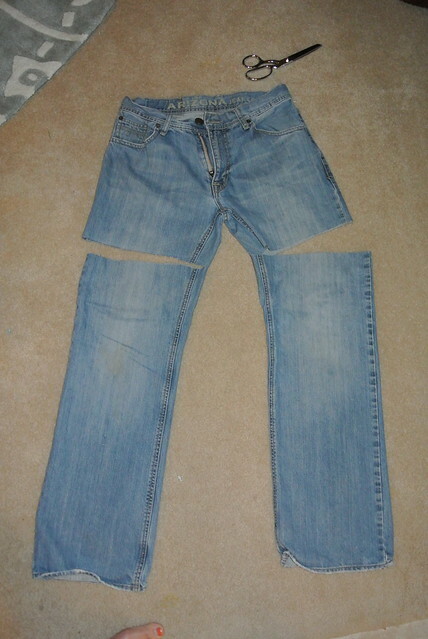 I measured 4 inches from the inside of each jean and cut it off there. 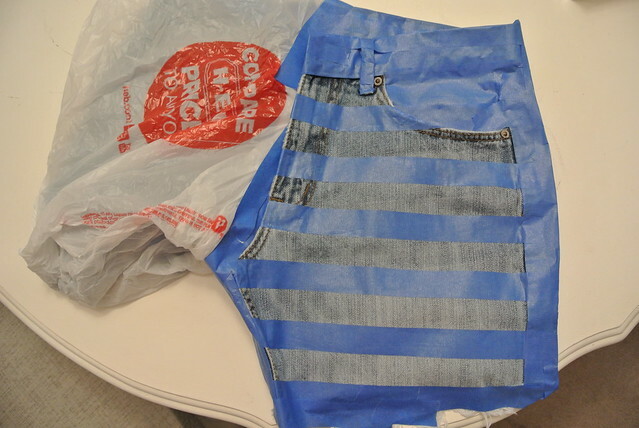 Then I used painters tape to make stripes and taped off all the other areas I didn't want paint. I covered the other leg with a plastic bag before I began spraying. 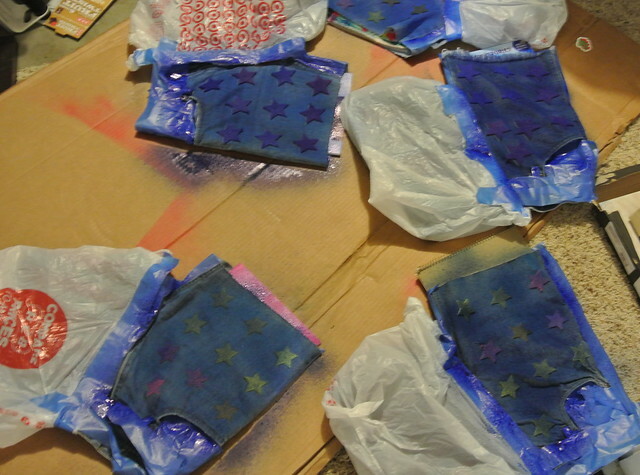 For the paint, I used fabric spray paint from Hobby Lobby. For the stars I just stuck some felt star stickers on and then taped off the other areas. Here is what they looked like before I washed them. I wanted more of a vintage white trash look so I washed them all to fade the colors and fray the ends a bit more. Don't worry, we will be back with way too many pictures of us all matching in them. You did such a great job on these Al! 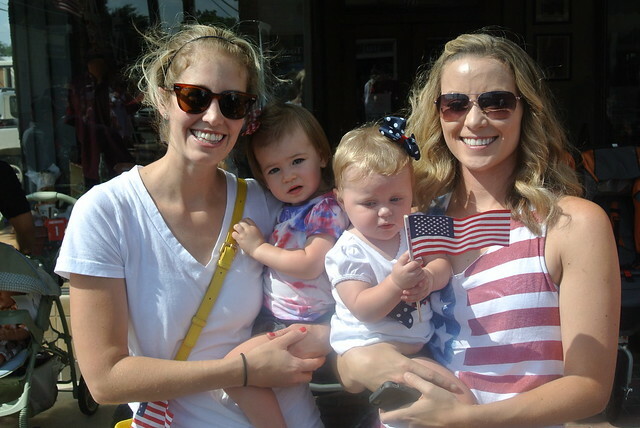 I love them and the American pride! I'm imagining all the possibilities! 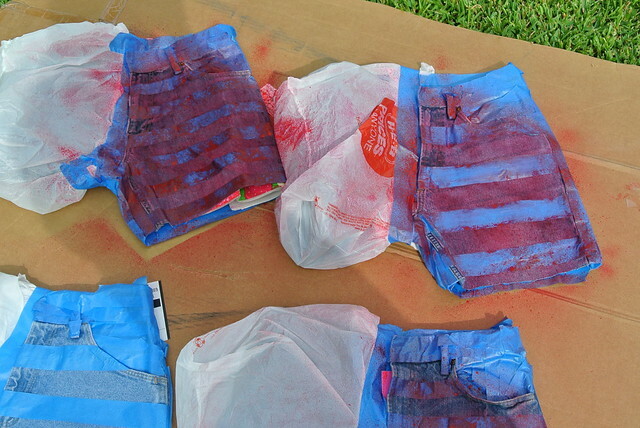 Maybe I'll make a pair and try to bring splatter paint back. It's worth a shot. the cupcake eating, the funny faces, the paper in Ethan's ears, the water bounce houses and of course the shorts are the highlights for me! 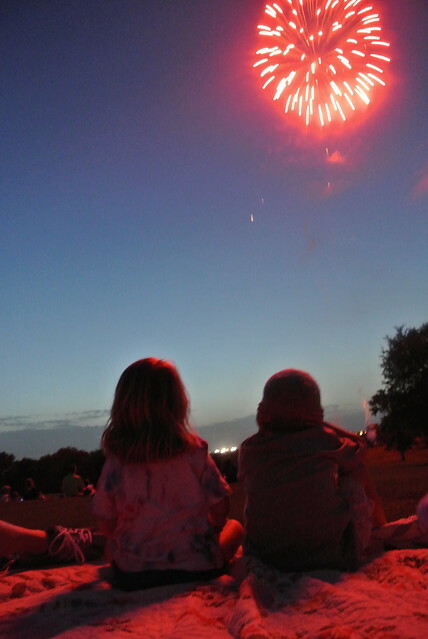 I hope yall have a blast this weekend! Can't wait to hear about it!